Trouble Getting Approved in California? Summary of California Usury Law(s) / Quote: "Legal: 7% Contract: 10% for personal, family or household purposes or any other purposes / Judgment: 10%"
The snippets of interest are from the California State legal codes and rules document. California's website page on usury. Snippet 1.) § 1.1 Quote: "The rate of interest upon the loan or forbearance of any money, goods, or things in action, or on accounts after demand, shall be 7 percent per annum but it shall be competent for the parties to any loan or forbearance of any money, goods or things in action to contract in writing for a rate of interest"
Snippet 2.) § 1.1 Quote: "For any loan or forbearance of any money, goods, or things in action, if the money, goods, or things in action are for use primarily for personal, family, or household purposes, at a rate not exceeding 10 percent per annum"
Snippet 3.) § 1.2 (second paragraph) Quote: "No person, association, copartnership or corporation shall by charging any fee, bonus, commission, discount or other compensation receive from a borrower more than the interest authorized by this section upon any loan or forbearance of any money, goods or things in action"
California Department of Business Oversight / Attn: Consumer Services / 1515 K Street, Suite 200 / Sacramento, CA 95814 / California DBO Website / Complaint Form PDF / Online Complaint Form (recommended). Myrna lives in Fremont California and is in the process of doing some repairs and upgrades to her home. She needs a $50000 fair credit loan to cover her repair expenses as well as the home upgrades that she is planning. Myrna’s home is valued at over $500,000 and she has equity in her home that can be used to secure the loan. Providing her home as security will enable Myrna to obtain a better interest rate on her loan. In fact, she may be able to add it to her existing mortgage or add a line of credit secured by her home. The upgrades that Myrna is considering include a remodeled bathroom, new appliances and new countertops for the kitchen. She would like to do more; however, she also needs to replace the roof which is in danger of leaking every time it rains. There actually is some urgency to this repair since she has already had one small leak into her bedroom the last time there was a heavy down pour in the LA area. Myrna and her husband have a fair credit rating and they have equity in their home which they can take advantage of. They have multiple options available to them in terms of an unsecured personal loan, a secured line of credit or arranging a new mortgage on their home. They both work and have excellent jobs that pay well. Myrna and her husband decided to opt for a line of credit secured by the equity in her home. This gave then a competitive interest rate so the cost of the loan is much lower than a personal unsecured loan would have been. In addition, the line of credit gives them the flexibility to draw on the loan when they need the money. She knows that she must arrange for the roof to be repaired first and will make arrangements for this work to begin soon. The kitchen and bathroom will take longer. They need to decide on the design, the materials, and trades before they will need any funds. This actually could take several months before they begin spending money from this line of credit for the upgrades they plan to do. Once they have a design finalized, they will also know just how much money they will need and when it must be available. A line of credit is perfect for this situation. Myrna expects her new roof to be installed next week and she will use the line of credit to help pay for this expense. She and her husband can also expect their credit rating to improve over time, provided they meet all of the obligations of this loan, their existing mortgage and any other regular payments they may have. They are really looking forward to upgrading their kitchen and their bathroom. If you live in the State of California and you're struggling with a bad credit rating we hope our website helps you in some way. Last 5 debt service loans approved in the State of California. Source: WFL Lender Pool. Updated Weekly. Principals rounded to the nearest $1000. Relative interest rates listed below in order left to right. Debt service providers can contact us for listing removal. As you can see by the lost above, there are many debt consolidation companies in California to choose from. Make sure you steer clear of companies that ask for up front fees. Make sure you don't sign any loan agreement in haste. Make sure you search for reviews on the companies you are considering. There are some legitimate firms that provide a good service, but some of them are certainly questionable (to say the least). If you have bad credit you can use our application form directly above. It won't hurt your credit score to submit a pre-application from our site. Alberto lives in Indio, just West of Palm Springs, and he has a small landscaping business. Everything was fine with business and he has plenty of contracts. Cash flow has never really been a problem for his family. He and his two sons work very hard and their business is thriving. The money problems they've been having are all due to medical bills incurred over that last few years. First is was Alberto's mother-in-law that needed surgery and treatment. Then it was his wife who had a car accident and ended up with a $57,000 medical bills. She needed operations and she needed physiotherapy. $57K wasn't even the total cost either. They sunk over $30000 into treatment before they even got out of the gate. It was financially devastating, but they kept pushing forward with hope that all would be healthy again in the near distant future. As solace Alberto threw himself into his work. He was up at 4:30 AM every and hustled to create new work. As a result he built his business up two-fold. But even with all these extra customers, the debt still loomed large. He said he used to really sweat it out when one of his customers didn't pay their bill. It would really shake him seeing wealthy people living in Palm Desert stiff him on the bill after he had been working diligently looking after their property. After two years of struggling financially, he decided he would try to get a consolidation loan so he could maybe get a lower rate on the note. It wasn't easy though because he had some credit history problems to deal with. His credit score had dropped down to the mid 500 area and he was getting denied by every bank he went to. Unfortunately for Alberto, he didn't realize that his credit score was being damaged more every time he applied for a loan. The bank or credit union would "pull his file" to check his Experian, Transunion, and Equifax scores. Eventually he came to the realization that his FICO rating was being damaged with all three of his loan requests. He was searching the Internet for websites and companies that provided loans for people with bad credit, and he came upon a website that used the WFL lender pool service. He loved the idea. He could apply as many times as he wanted and NOT damage his credit score. Every time he submitted a loan application there was hundreds of different lenders reviewing his request. He tried applying right away. He didn't get an email back from a lender for two days because he applied for funding on a Friday. But by Monday afternoon he had some lender emails in his box. But he was skeptical. No doubt. I mean who can you trust these days with all the predatory lenders and flim-flam men floating around the Internet. Furthermore, he didn't see how these private lenders would approve him when credit score was so low. He saw first hand how the banks and credit unions turned him down flat. So Alberto did the only smart thing a smart person would do. He investigated the lenders that offered him the loan. He searched for them online and he did some asking around. Eventually he got serious about one lender in particular who was actually based out of Temecula. He emailed the lender back and they set up a time to meet with a Facetime call. He told us how he was in the middle of cutting grass for a client when he got the first call. He stopped his work to take the call and he used the opportunity to show the private lender what he was doing for work. He showed him their equipment and his staff and the work that was ongoing. An agreement was made that same day for a $150,000 debt consolidation loan. It was secured based on his business income and his assets which included his house in Indio and his work equipment. This calculation is just an estimation using our debt consolidation calculator below. This is just the raw math and doesn't take into consideration the the fees a lender may or may not charge. 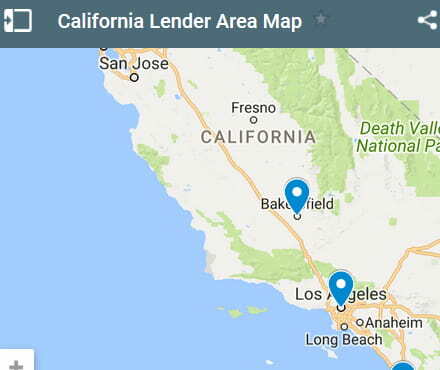 If you live in the State of California and you're trying to get approved for a debt consolidation loan, we hope our website helps you find a good lender and a low interest rate.